The Center for Global Education and the Eisenhower Institute are pleased to announce that multiple $2,750.00 scholarships will be awarded to Gettysburg College students who plan to study globally during the Fall 2019 semester. The primary purpose of the Dwight D. Eisenhower/Conrad N. Hilton Scholarship is to help U.S. students study globally, thereby encouraging and assisting students who bring a strong international orientation to their studies; exhibit, through extracurricular activities, an interest and awareness of the role they can perform in bettering the world; and show through their career aspirations and corresponding curriculum choices, an appreciation of the role that international travel, global trade, and cross-cultural exchange can play in fostering international understanding and world peace. 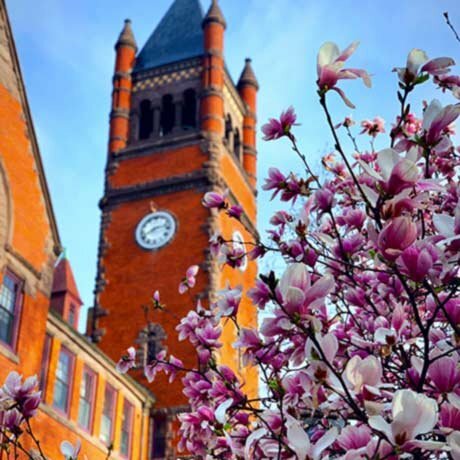 The scholarship is for Gettysburg College juniors in any major who are applying for global study during the Fall 2019 semester. Students must have a 3.0 grade point average, can be from any academic discipline and must be a U.S. citizen or permanent resident. Applicants are awarded on merit. Winners are required to submit a reflection paper about their experience to the Eisenhower Institute on completion of their program. Applications for the Fall 2019 Eisenhower/Hilton Scholarship have closed. Complete applications must be received by March 15, 2019 at 11:59 PM. Transcripts and letters of recommendation can be emailed to ei@gettysburg.edu or paper copies may be brought to the EI office (157 N. Washington St.) Interviews are not required. However, the Grants Committee has the discretion to hold interviews if it desires to do so. Applicants will be notified by late March. If you have additional questions, please contact CGE at: cge@gettysburg.edu or call 6866. NOTE: Applicants who are receiving financial aid of other kinds from Gettysburg College or elsewhere should be aware that the awarding of an Eisenhower/Hilton scholarship may impact the overall financial aid package they currently receive. If you have additional questions about the scholarship, please contact the Center for Global Education at cge@gettysburg.edu or (717) 337-6686. Ally Schultz ’20 and Erin Schroeder ’20.